Bruegel the Elder - TripImprover - Get More out of Your Museum Visits! Who is Bruegel the Elder? Pieter Bruegel the Elder was born between 1525 and 1530 in Breda in The Netherlands and died in 1569 in Brussels (his name is sometimes spelled as Brueghel). 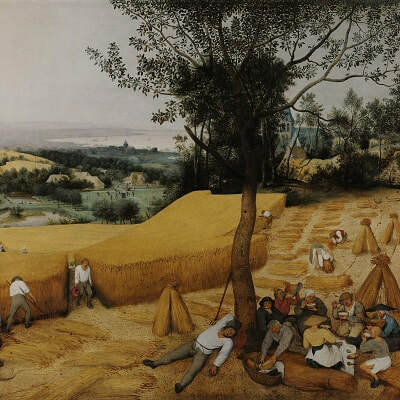 Opposite to the popular High Renaissance style developed in Italy during that time, Bruegel used a more realistic painting style which we now classify as the Northern Renaissance style. Bruegel was a specialist in genre art (scenes from everyday life) and specifically in painting landscapes and depicting peasants. The artistic talent ran in the Bruegel family and several people in his family tree were accomplished painters as well, including the two sons of Pieter Bruegel the Elder: Jan Brueghel the Elder and Pieter Brueghel the Younger. Works of Bruegel the Elder?